Eilean Donan in a Fantasy World--Sale on Dreaming of a White Wolf Christmas! 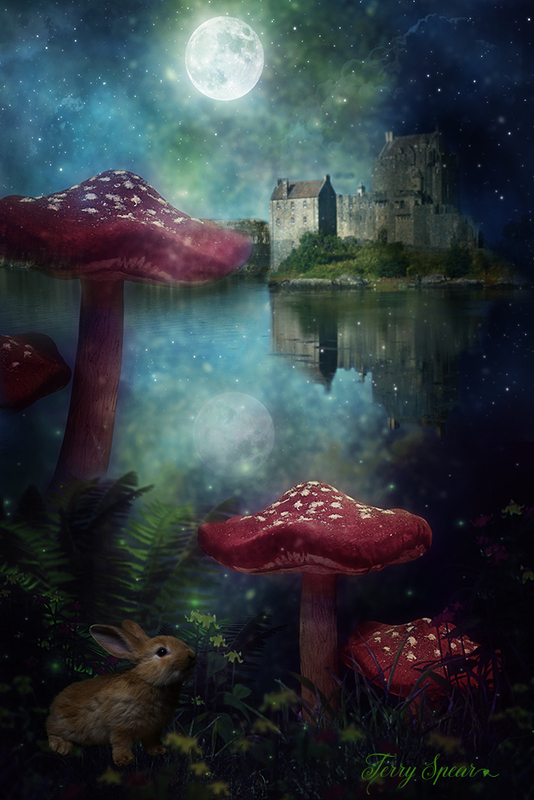 A picture of Eilean Donan in a fantasy world. I added cliffs reflecting in the water on the Isle of Skye (just love how glassy the water can be and the beautiful reflections that can be captured in Scotland! )…so that it looks like the fairy mushrooms are now a long distance from the castle, and the castle is no longer floating in the sky. I love both, but this just gives a different story. 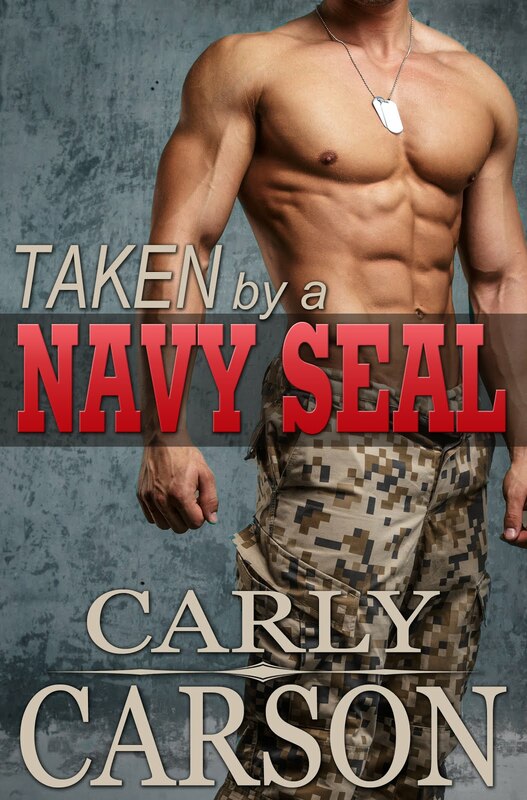 99 cent sale at Amazon! Witches and warlocks hide their true identities from the rest of the human population, while three teens with demon heritage living with human families, become unlikely companions in a race against time to deal with a demon threat to humankind in their own quirky way.Alana Fainot, a witch and half Kubiteron demon, witnesses a Matusa murder his summoner, and she knows he’ll target her next. 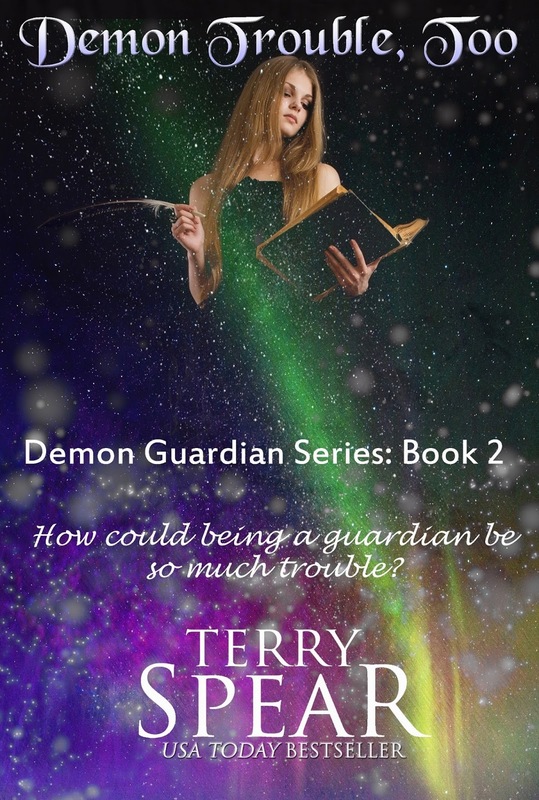 Raised by her mother, she has no idea who her demon father is. 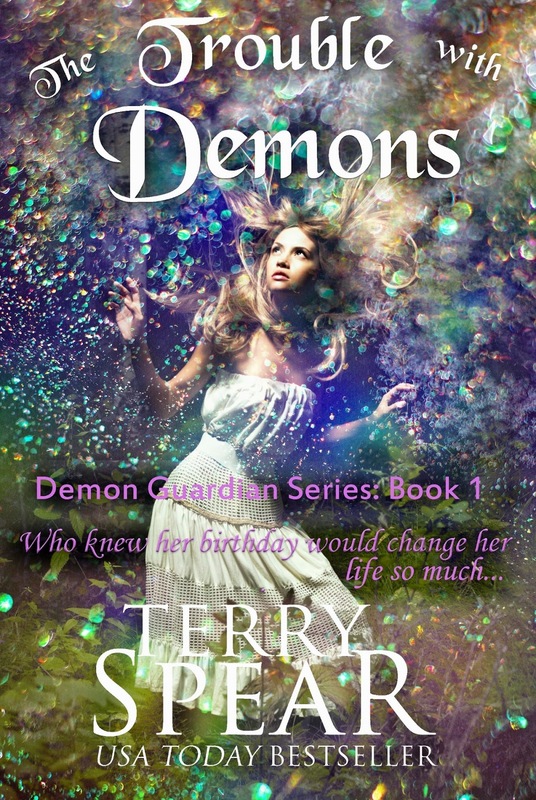 But when she’s pulled to a demon portal, she meets Hunter Ross, half Matusa, half human, who returns demons to their world, but who’s been poisoned by a Matusa and is more dead than alive. His human mother gave him up for adoption, and he doesn’t know who either of his birth parents are. His friend Jared Kensington, full blooded Elantus demon, less powerful than the Kubiteron, is a whiz at electronics and helps Hunter track demons in the city, but was abandoned by his parents on Earth world for reasons unknown. He’s determined to find help to save Hunter. 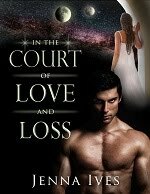 Alana knows aiding any Matusa is a mistake, but when she learns Hunter is half human, she makes a deal—he protects her against the Matusa who will come for her, and she helps find his dad in the demon world to save Hunter’s life. Many settings across Scotland have inspired me and my stories. A few that I've found most inspiring have been standing stone circles. 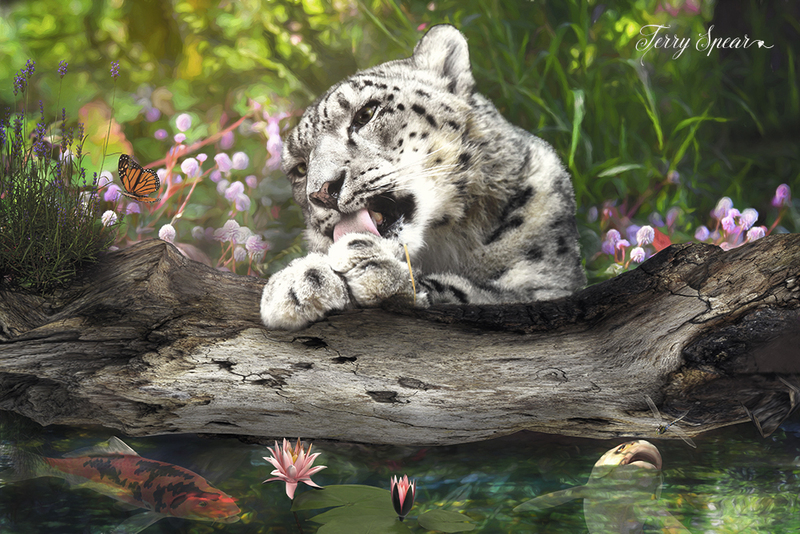 They are so mystical and mysterious. Do they have magical properties? 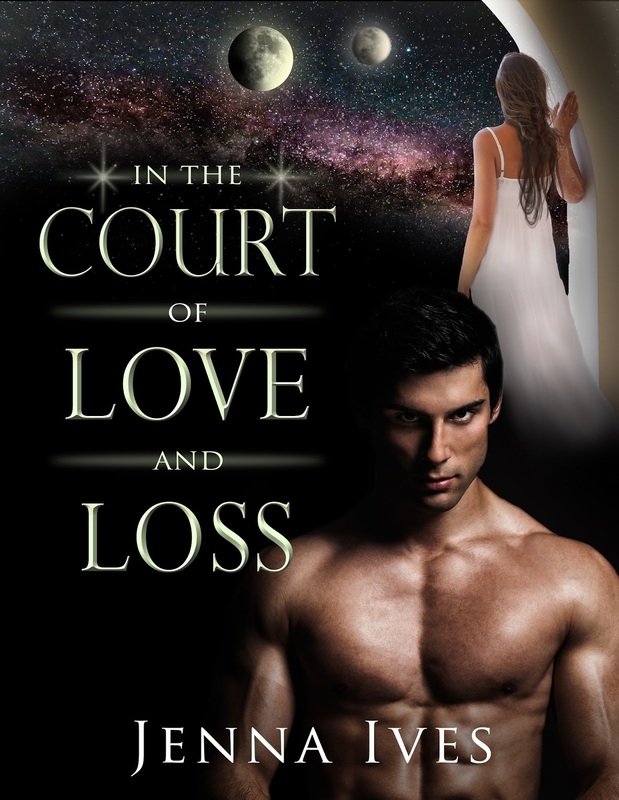 Will they cause people to time-travel or find true love? Everyone wonders who built them and why. Not even the experts truly know all the answers, though they have many theories. All we know is that some of them were built around 5000 years ago and most have astronomical alignments. I've always wanted to include standing stones as an important element in a story and I was able to in my novella, My Captive Highlander. 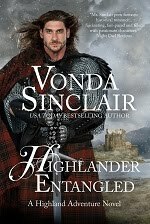 You can get a FREE copy of My Captive Highlander when you sign up for my mailing list! 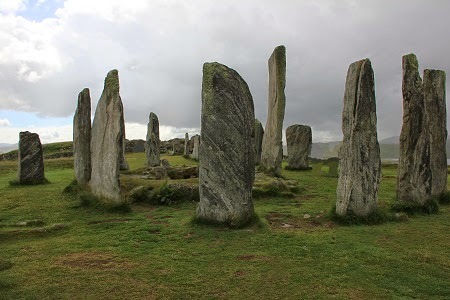 Now, about those standing stones, one of my favorites is Callanish Standing Stones on Isle of Lewis in Scotland. It is a circle that extends out into a cross shape. 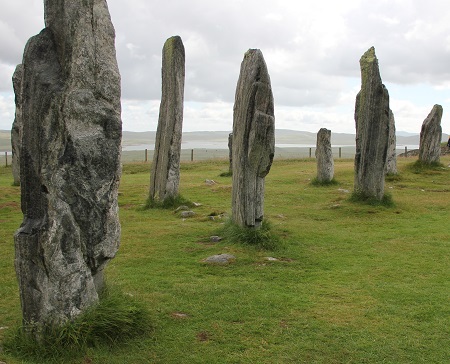 Experts believe that the main circle at Callanish was designed over a long period of time and may have had input from seaborne travelers because of the similarity between Callanish, Stonehenge and Avebury in England and Carnac in Brittany. Callanish was almost hidden, buried beneath the deep layers of peat for many hundreds or perhaps over a thousand years. 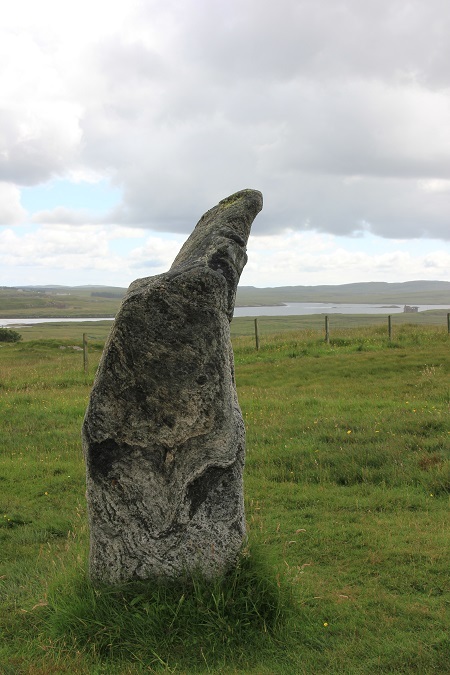 A nearby chambered cairn was just discovered in the 1990s and it is believed more standing stones and other ancient monuments could still lie beneath the peat at various places around Lewis waiting to be discovered. 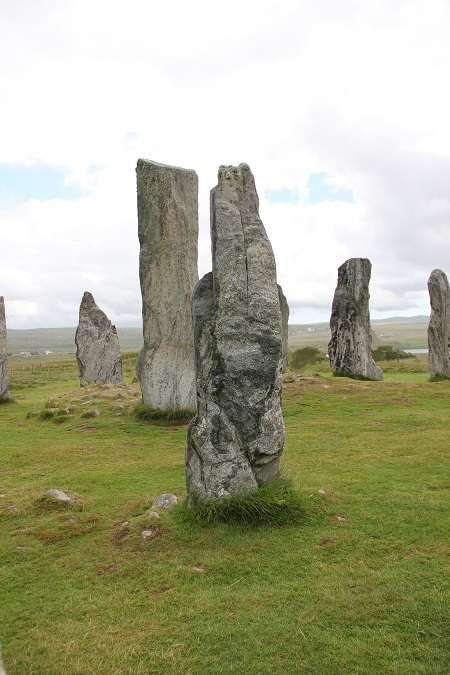 Callanish is a circle with 13 main stones with a central monolith and five radiating rows of stones. The two rows of stones which form an avenue, aligning almost true north, links with Stonehenge, Avebury and Broomend of Crichie in Aberdeenshire. Some say the overall layout of Callanish is a Celtic cross design although it was built in pre-Christian times. 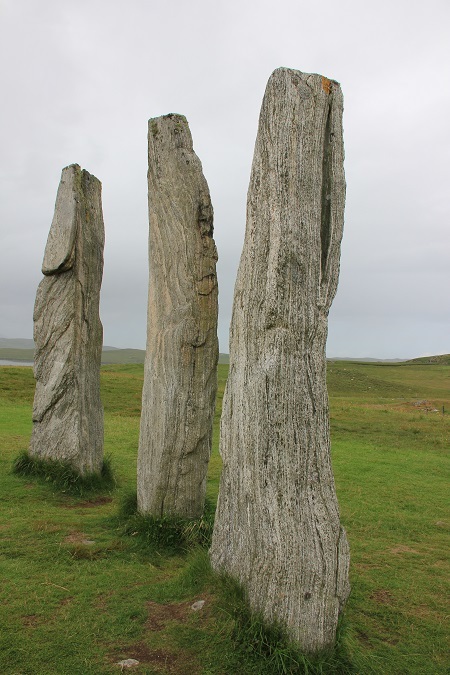 The stones are 1 to 5 meters in height and they are made from local Lewis gneiss stone. The tallest marks the entrance to a burial cairn where human remains were found. The site was excavated in 1980 and 81 and they discovered the cairn was a later addition to the site. Experts believe the stones were a prehistoric lunar observatory. Others believe there is a relationship between the stones, the moon and the Clisham range on Harris. One explanation for Callanish is that every 18.6 years, the moon skims especially low over the southern hills like a god visiting earth. Wise people who lived long lives must have noticed this unusual occurrence. 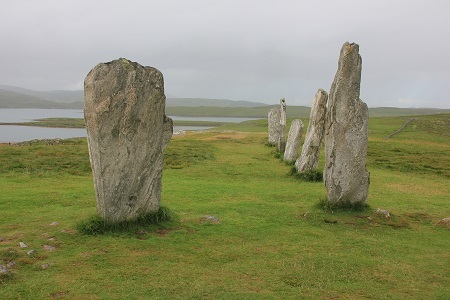 A thousand years after it was built, Callanish was abandoned and the area inside the circle leveled. It is not known whether this was for agriculture of for ritual cleansing. The climate started to change around that time, becoming colder and wetter. This climate change caused the peat to grow deeper and deeper until the stones were almost buried. When the peat was cut in 1857, their true height was again revealed. In the 17th century local people called them "false men." In 1885 the main circle was taken into state care. 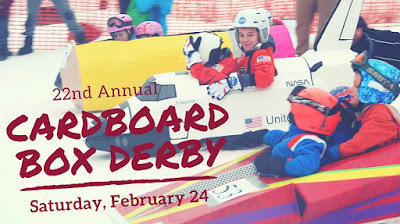 Make your Valentine's Day happy. Sign up and get 5 FREE books in your favorite genre in any format you choose. 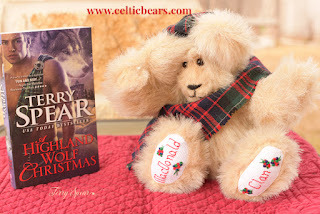 (Including My Captive Highlander if you choose historical romance!) Also enter to win a $100 gift card. 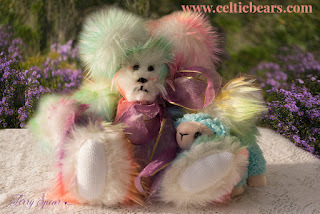 Easter Bears with Free Lambs and Demon Hunter is Now Available! 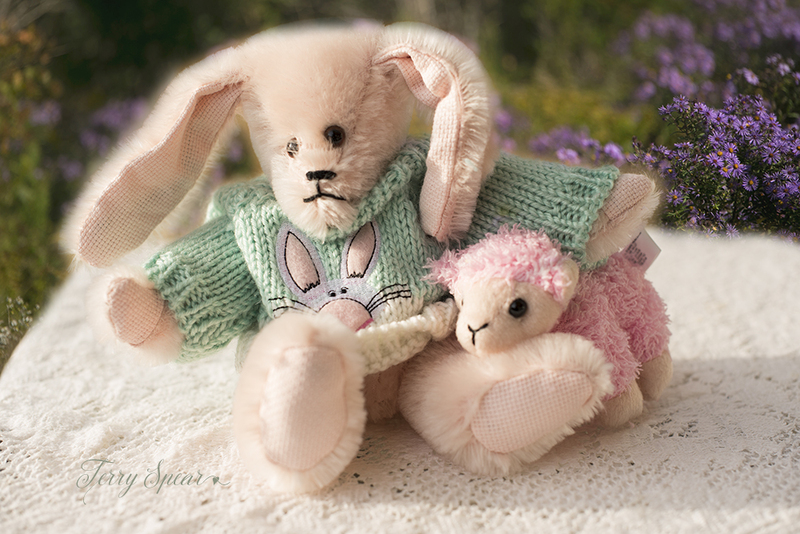 And I have another one to finish this morning. But I also received a contract for three more wolf books, well, one is the jaguar Howard's story. Which I started on yesterday. 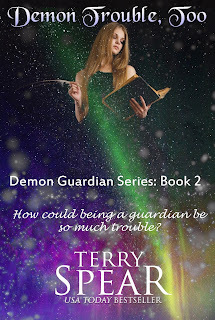 And I finished the Demon Hunter, a teen demon guardian's story, the third one in the series. 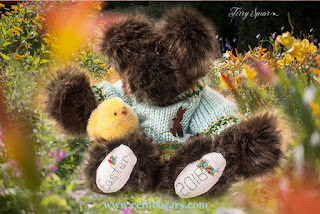 Off to write on Howard's story, finish another bear, ship bears, feed puppies, and all that! 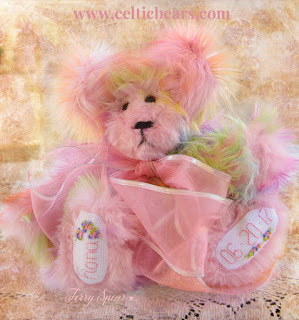 In honor of Valentine's Day, I'm holding a month long contest giveaway! 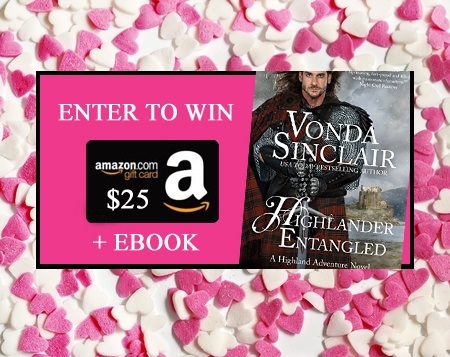 Enter to win a $25 Amazon gift card plus an ebook copy of Highlander Entangled. ENTER BY CLICKING HERE!